Each day your student will be immersed in the lives of inventors, exploring their inventions from geology to biology and more! Be sure to roll up your sleeves for this creative camp! Students will be making their own inventions with a mix of science and art. There are so many stories to discover about inventions made involving plants and insects! Students will make their own insect repellant, stamps from stamps, and much more. Material science has never been more exciting as students discover building materials from the Earth and make their own. Explore comets (yes, you read that right), cement and kinetic sand in this camp you won't want to miss! Join our friends from Women in Electrical and Computer Engineering (WECE) at UF for some fun and exciting tech projects! Sorry boys, this is an all-girls engineering class. Students will try their hand working with three types of robots. They will learn basic coding and building their own Arduino rover with a 3D printer! Back by popular demand, this will be a repeat of the Robots and Rovers camp from the week of July 8. Students will try their hand working with three types of robots. They will learn basic coding and building their own Arduino rover with a 3D printer! 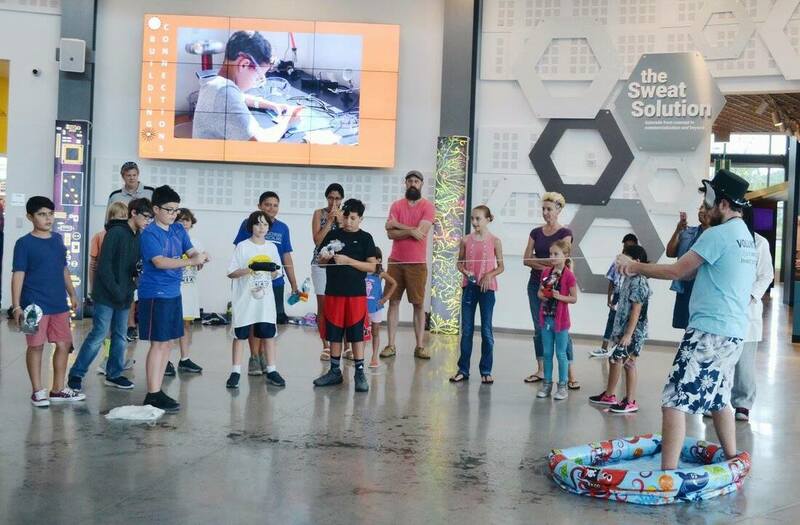 Students will enjoy the top tech activities The Cade has to offer in this exciting class! Activities include coding, cad, robotics, and more. Each student will bring home an Ozobot kit at the end of camp to continue the fun!